Laddie was first published in 1913 and would seem to be the endearing sort of classic that everyone loves and no one hates. If you look at the Goodreads reviews, you'll note that this title receives high marks all around. In this story we are told about the Stanton family of Indiana through the eyes of their youngest daughter. Our narrator is known to us throughout the book as "Little Sister" and she comments on the adventures and escapades of both her parents, her older brothers and sisters, and the family's neighbors. This book is part romance, part adventure, part pioneer story and is generally plain, good fun. Laddie is not only the title of the book but also the name of Little Sister's favorite older brother and it is this person that this story revolves around to a great degree. Laddie can do no wrong in his sister's eyes and they tend to wrap each other up in one another's doings and are great for keeping secrets with and for the other. Laddie's most important secret is that he has fallen in love with the new neighbors' daughter, Pamela Pryor. He doesn't necessarily want his parents to know just yet because he is unsure of his lady love's returned affections. The Pryor family are not just new to the area, but prove shamefully unsocial and almost belligerent in the face of Christianity. 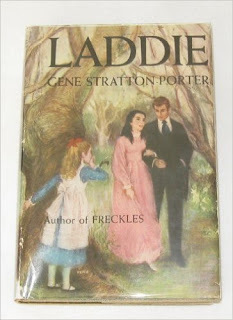 Being that the Stanton family are devout believers, Laddie is taking his time in informing his family of his attachment simply because he knows that Pamela's family and his own might harbor huge objections to the match and he is hoping that time and care will heal a few wounds, bring light to darkness, and clarify the future. Laddie's romantic pursuits make up a good portion of the book but there is also some adventure available through another of Little Sister's brothers. I don't want to give away all of the plot so I'll keep this short and sweet by letting you know that there is some lawbreaking going on and some tense moments for the pioneers who are hard at work building community with one another. I personally found this book to be very exciting and engaging. I found the characters to be easy to identify with and find sympathy for, no matter their position within the community. I liked Laddie so much that I can see myself re-reading it. It didn't feel as forcefully fake or phony as A Girl of the Limberlost read off to me. (I'm aware that by saying that much, I'm offending a few who might find this other story of Porter's to be perfection itself. I'm sorry! Reader preference!) I found Laddie to be far superior in terms of story telling. It was less poetic, more straight forward prose, and was much more complex, with several of the storylines being combined together in a clever plot twist at the end. As a reader, I felt amply satisfied. I don't know how to explain it really, except to say that it feels like Porter thought through this story a little bit more. If all of her books were like this one, I can see myself liking her without exception. 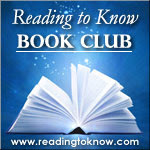 There is still time in this month for you to get to this read if you haven't already. If you haven't, I highly recommend that you strive to do so. I think you'll find yourself delighted. Thanks Heather for selecting this read for it! I'm much obliged for the nudge to read another of Porter's works. I didn't think of Girl of the Limberlost as forced or phony, but it did seem a little melodramatic to me. 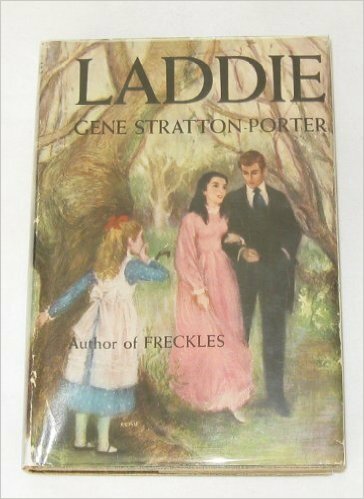 Because I wasn't thrilled about it, I had decided not to read Laddie. But I may - I think I got a free Kindle copy. We'll see how the rest of the month goes. I was surprised at how much I enjoyed Laddie too (my expectations weren't very high either, ha). The plot twist at the end really caught me off guard, which I love! :) I admire authors who can write literature for children, but yet keep it interesting enough for adults. If my daughters were still young, I'd definitely put this in our read-aloud pile.